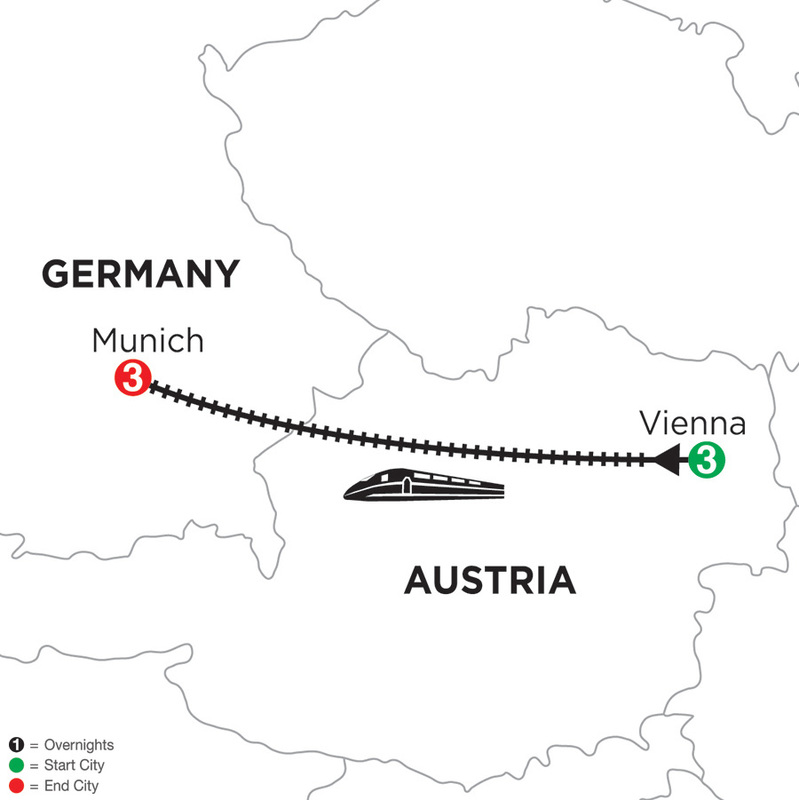 Vienna, Austria's capital and the cultural capital of Europe, is a city of incomparable flair and a dream for romantics and history enthusiasts alike. 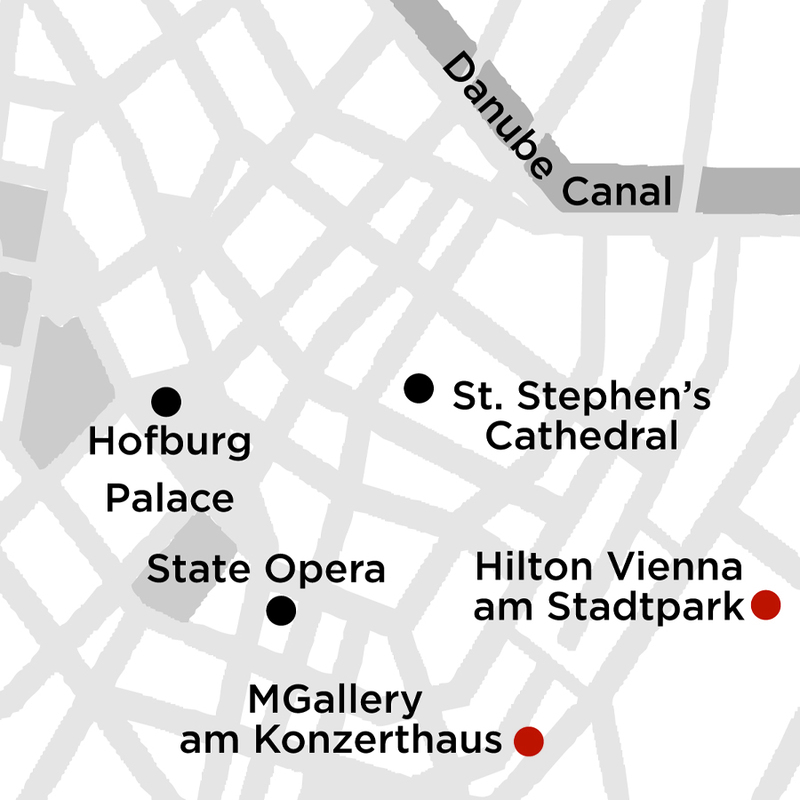 Music lovers can attend Vienna State Opera concerts and visit the homes of Mozart and Haydn. At Hofburg Palace-the official seat of the President of Austria and home to museums, the Vienna Boys Choir, and the Spanish Riding School-see the world-famous Lipizzaner Stallions. 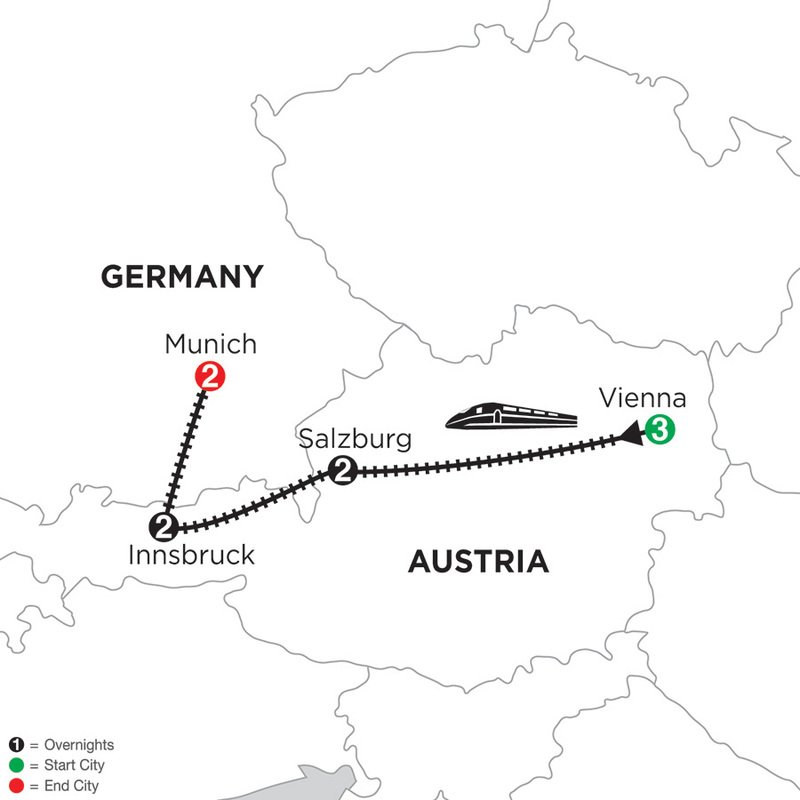 Also take the time to wander along Vienna's narrow medieval alleys, explore Schönbrunn Palace, and marvel at the gothic St. Stephen's Cathedral and grand architecture along the Ringstrasse. Finally, be sure to take the time to relax at one of Vienna's famous coffee houses for a sumptuous slice of Apfelstrudel!